Movex provides competent and complete in-house customs brokerage. Our knowledgeable customs clearance experts taking care of documentation and enable timely and reliable movement of your goods through the customs process. All the Dock Clerks, Custom Clerks, Office Clerks, Managers, Partners and Owners in Customs Clearance across the length and the breadth of India who ensured a roper place to this segment thru the very difficult times from Independence to Liberalisation of the economy. Their hard work; domain knowledge and commitment is reaping benefits to all of us presently. We take care of your custom clearance, from documentation to stuffing destuffing of goods at various locations. we provide custom clearance at best rates. 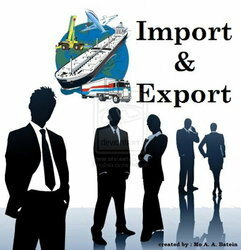 Customs Clearance has always been one of the core activity of freight forwarding. Seagull Maritime Agencies Private Limited offers fast and un-interrupted custom clearance services as a result of its integrated logistics solutions. Seamarine has their own in house Customs clearance service to cater export & import consignments within India. In-house customs clearance procedure, single address clearance of goods.